The liver is the largest internal organ of vertebrates and is situated below the right lung. It has a vital role in the process of digestion, secretion of bile for absorption of fats in intestines, metabolism, protein synthesis, detoxification, storage of extra food consumed/partly digested etc. When malignant cells develop into ever-growing tumors in different parts of liver, the liver cancer is known by different names depending upon the actual site of cancer in the liver. 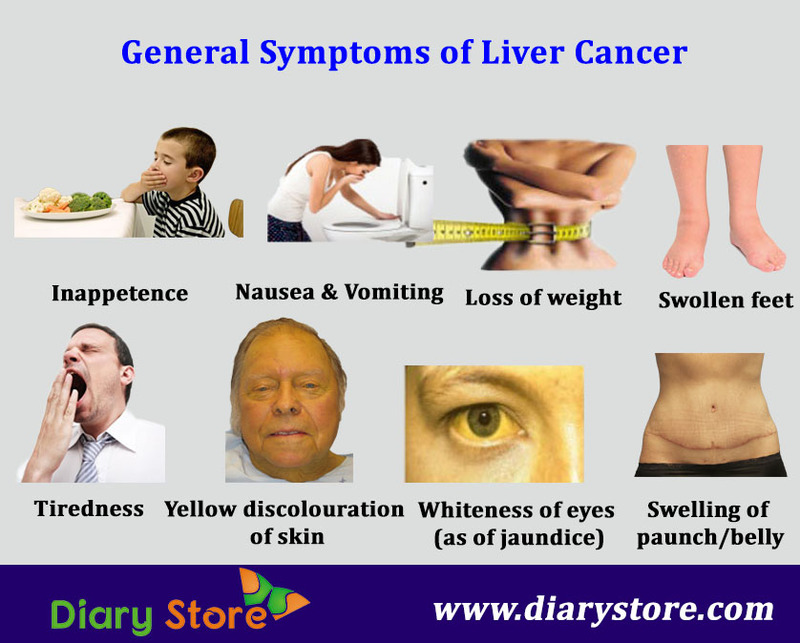 Liver cancer is diagnosed by various tests and the symptoms experienced by the patient. Cirrhosis is a disorder of liver wherein scarring of the liver occurs exposing it to the risk of liver cancer. Minimise the alcoholic intake to the least possible quantities, if you are already addicted to alcohol. Gradual diminishing the regular dosage of liquor-intake should finally end up in nullity. Maintain healthy weight. If your weight is at reasonable levels as per BMI (Body Mass Index) standards, try to ensure that it does not increase in future. If you are already obese, take all possible steps to bring it to normal level like by regular rigorous exercise, strict healthy food without being tempted to eat tastier high-calorie comestibles or gulp down high-energy effervescent drinks. Avoid being medicated for every trivial reason at the drop of hat. Take medicines under absolutely inevitable circumstances. Vaccination against Hepatitis-B can safeguard you from becoming the target of the disease by more than ninety percent. The vaccine against Hepatitis-B can be given to people of all ages ranging from infants to older adults. Since there is no vaccine invented so far against Hepatitis-C, the only course of action is to follow certain steps to avoid being the victim of it. Be alert and mindful about the health status of your sexual partner regularly. Ensure that your sexual partner is free from sexually communicable diseases like HBV or HCV and never engage in unprotected fornication. Whenever you are required to get injected with medicines either intravenously or otherwise, ascertain that the needles that are inserted into your body are absolutely sterilized and the highest degree of hygiene is maintained. Sterilization of needles needs more emphasis when your body is subjected to tattooing or embossing indelible imprints on the skin. Commercial service-vendors are less likely to use hygienic methods unlike medical practitioners. Since like other cancers the liver cancer too progresses without being detected in initial stages, doctors are left with limited methods of treatments. Research work is relentlessly going on for finding out better methods for efficient elimination of liver cancer with least possibility of its recurrence, causing minimum collateral attrition to the patient. The treatment is aimed at elimination of cancer if the tumor is found at an early stage and the liver is functioning well. When the cancer is found in an advanced stage, medication is targeted at reducing the further growth of cancerous cells and alleviating the symptoms. The most important feature in treatment of cancer is in addition to elimination of cancer, the symptoms and side-effects are taken into consideration for healing. To prolong the life-span of the patient and ameliorate the existing symptoms in advanced stages. Hepatectomy – If the cancer is restricted to a single part of the liver and the functioning of liver is reasonably well, the affected part of the liver is surgically removed by a procedure known as hepatectomy. After surgical removal, the remaining portion of liver takes over the functioning of the entire liver. When the liver is affected with advanced cirrhosis, hepatectomy is not a viable option, even if the malignant growth is small. The after-effects of surgery including pain, fatigue and temporary liver failure are taken care of as a post-operative measure in treatment. Liver transplantation – This is possible in limited cases. Liver transplantation can be done if the cancer is confined to the liver alone and not spread to other parts; and a suitable donor with a healthy liver is available. Liver transplantation is also influenced by the number of available donors and the waiting period for the patient has to undergo before the liver cancer gets worsened. After transplantation, the patient’s body may reject the new liver in the system although its compatibility has already been clinically checked before. Appropriate medicinal drugs are administered to the patient to allow and cope up with the new liver. The patient is given medication for relieving the possible symptoms of high blood pressure, swollen face or increased body hair. Radio Frequency Ablation (RFA): Cancer cells are destroyed by subjecting them to requisite heat by RFA or microwave therapy by passing heat through the skin. Sometimes in exceptional cases, laparoscopy may have to be performed keeping the patient in a temporary sedated state. This type of treatment is also known as thermal ablation. Percutaneous ethanol injection: This procedure is applicable in case of small tumours of less than 3 cms in size. In this, ethanol (alcohol) is directly injected into the tumor to kill cancer cells. If the injected alcohol escapes the liver it causes severe pain, though it lasts for a shorter period. However, in view of the limited use of this method doctors usually switch over to RFA. Radiation Therapy: A high-intense beam of X-rays is focused on the tumor to destroy cancer cells, with special attention on sending relatively low-intense rays reaching the adjacent healthy tissue so as not to cause any damage to cancer-free cells. This is called SBRT (Stereo tactic body radiation therapy) and is mainly used in treating tumous less than 5 cms in size. This therapy is still considered to be in experimental stage as its long-term side effects are yet to be studied. 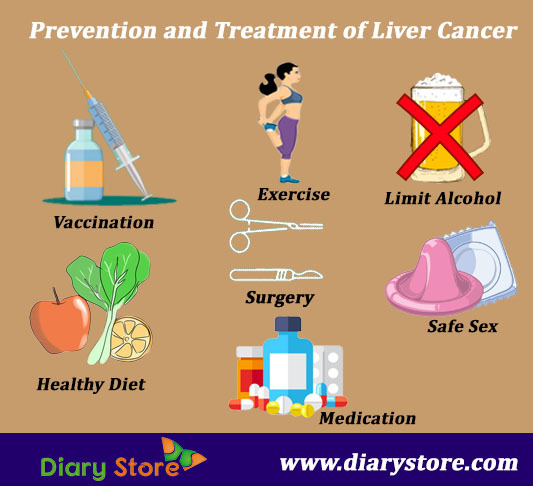 If the liver cancer of a particular individual has been found to be incurable by any one of the above methods, the other options of shrinking the size of tumor making it convenient for taking up the methods like radiation or lengthening the life-span of the patient are considered. Chemoembolization is a method in which specially prepared chemicals are injected into hepatic arteries so that blood supply to the malignant cells is blocked temporarily and the drugs injected can effectively act on the cancerous cells for sufficiently longer time and eventually kill them. Stoppage of blood also entails decimation of harmful cells. Radio embolization is akin to chemoembolization with the only difference that instead of medicinal drugs, radioactive beads are inserted into the arteries and the radioactive substance would directly act on the pernicious cells. The process of formation of new blood vessels is called angiogenesis. In targeted therapy, drugs are prepared with an objective to stop the flow of blood and nutrients to malignant cells so that the cancerous cells are killed and their further proliferation is prevented. The use of medicinal drugs which act against angiogenesis is called anti-angiogenesis. This treatment is associated with use of medicines which improve the immunity or the resistance power of the body against cancer. The medicinal drugs were found, in some cases, to cause cancer in colon or lungs, a situation called autoimmune condition. Treatment of cancer at times is laden with side effects. The curative methods should encompass treating the side effects too. In addition to the side effects, there is a potential risk of recurrence of cancer. The entire scope of treating a cancer patient comprises treating the existing cancer, its concomitant side effects and its recurrence.